L. Kyle Heffley is completing his 20th year with Mitchell Williams after serving a brief clerkship with the Arkansas Court of Appeals immediately following law school. After working in the firm’s Little Rock office and trying lawsuits in every corner of Arkansas, Mr. Heffley relocated to the firm’s Rogers office in 2003. His practice has always focused on trial work with a special emphasis on healthcare litigation. 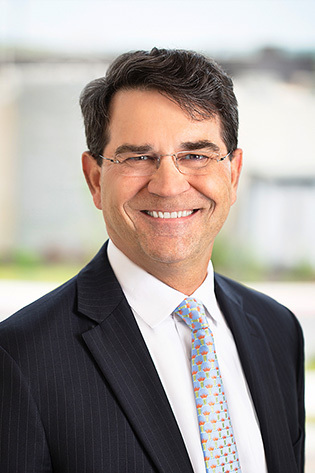 Mr. Heffley has represented physicians, hospitals, clinics and medical providers of every kind in federal and state court and before a wide variety of administrative agencies. He also has extensive experience in appellate work. Upon moving to Northwest Arkansas, his practice area broadened to include real estate litigation, business dispute and intellectual property matters. Prior to the practice of law, Mr. Heffley worked for two Fortune 500 companies in sales and marketing. Served as law clerk to a judge on the Arkansas Court of Appeals. Tried numerous jury and bench trials in both federal and state court in counties all across Arkansas and in the Eastern and Western Districts. Represented physicians, hospitals, nurses, nursing homes, medical technicians and other healthcare providers in malpractice-related litigation. Represented numerous physicians, nurses and other providers before licensing boards. Defended corporations, insurance companies and other corporate entities large and small in contract, business tort and regulatory matters. Handled a wide variety of real estate litigation including title disputes, boundary line disputes, adverse possession, annexation and condemnation for both landowners and condemnors. Extensive experience in handling appeals, including oral arguments and amicus briefing, before the Arkansas Supreme Court, Arkansas Court of Appeals and the 8th Circuit Court of Appeals. Significant experience with class action litigation. Lead attorney for numerous jury trials encompassing medical malpractice, contract disputes, business torts, condemnation and annexation matters. Face-to-face solicitation by certified public accountants (but not attorneys?) is protected speech under the First Amendment, casenote, UALR Law Journal, Vol. 16:4, 1994.